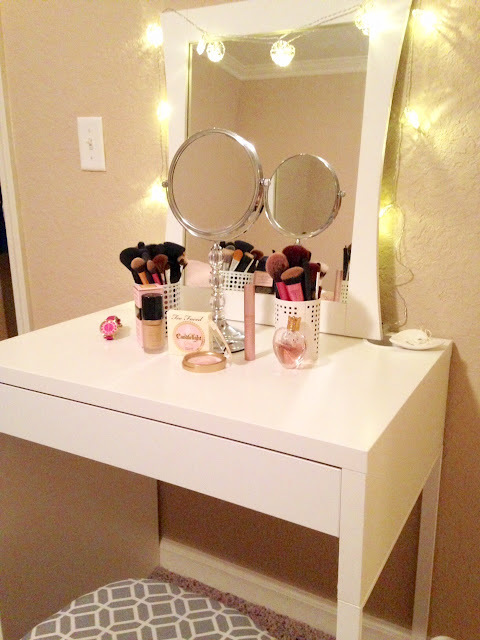 I've been meaning to start a blog series about my favorite makeup items but just have not gotten around to it! 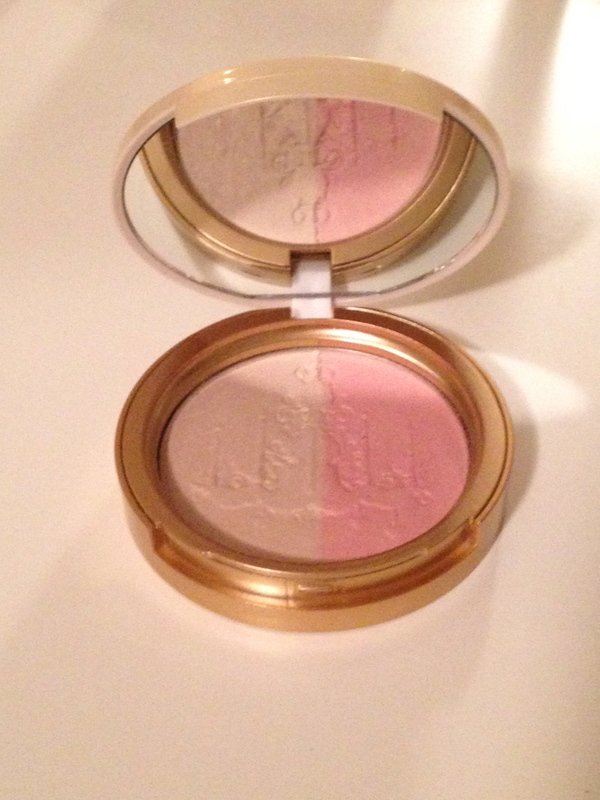 So instead I am going to write a post about my favorite high end makeup brand! Drumroll please... my favorite brand is... TooFaced! When I first started entering the magical world of makeup I didn't get why women spent so much money on makeup. Well boy has that ever changed! But now that I have some makeup experience I can definitely say that you get what you pay for. Now of course there are those diamonds in the rough at the drug store but when you buy something new you never know for sure if it will be good quality. 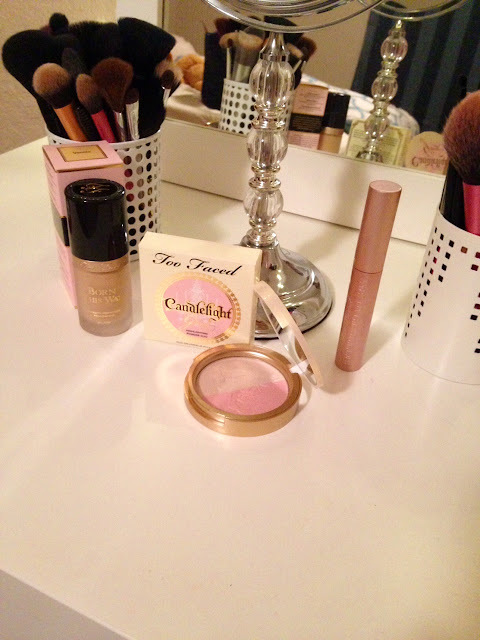 The difference I've found with TooFaced specifically is that I've never been disappointed. I know it sounds extremely hard to believe but I have never not liked a product from them! 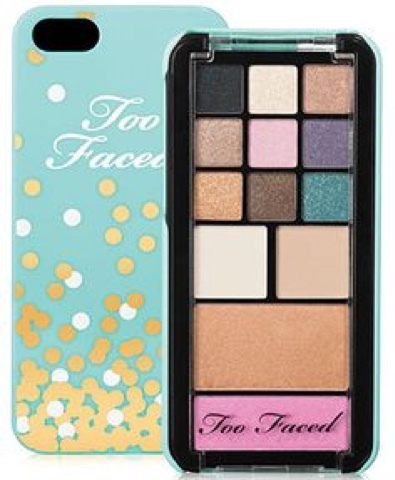 I think my first TooFaced product was a cell phone case sized pallet with eyeshadow, bronzer, and blush, see below. I was amazed at how smooth and pigmented the products were. This is my number one, purchased for me by my sweet fiance! You will never need bronzer again or not have the exact shade you're looking for. Cue music from the heavens! Amaze-fest-USA am I right? Next up, mascara. 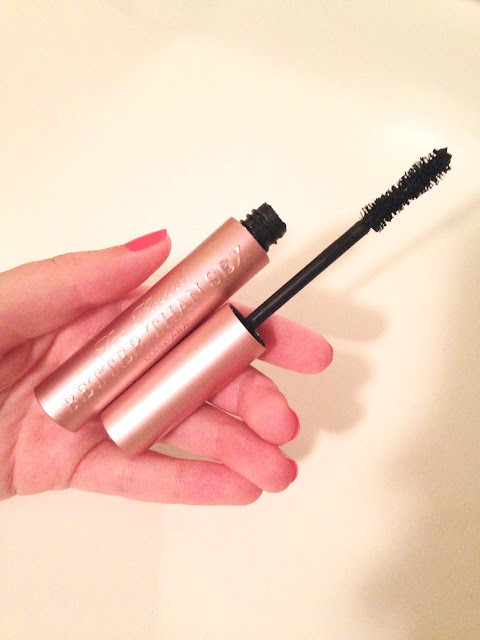 This mascara doesn't clump and is super volumizing! I naturally have long lashes so I don't like lengthening mascaras because they make me look crazy! But I need all the help I can get in the volume department so this stuff is perfect! 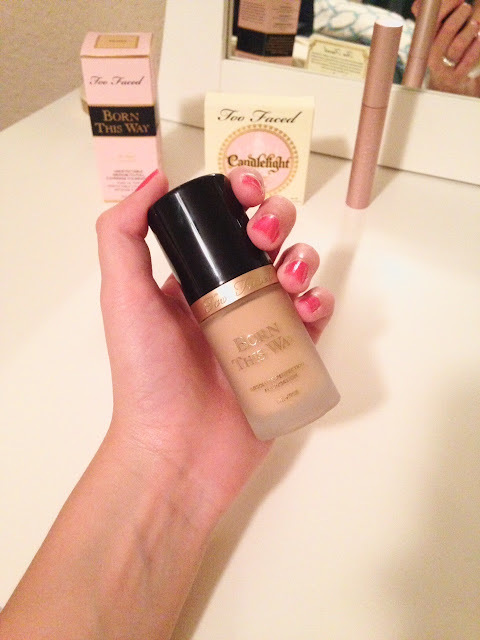 Finally is one of TooFaced's newest products - the Born This Way foundation (can't use this stuff without hearing the Lady GaGa song in my head...)! It comes with some pretty lofty claims (read more here) and I have to say it lives up to it! I didn't even know I had visible pores until I used this and my face looked flawless! I have the shade Vanilla. And of course the pretty pretty packaging doesn't hurt! Let me know how you liked this post and if you want more makeup posts in the future! 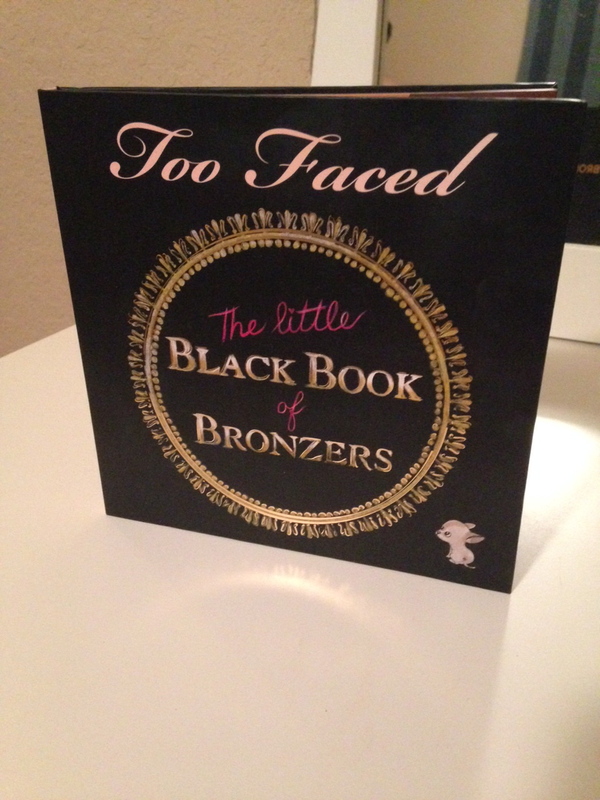 I love Too Faced too! 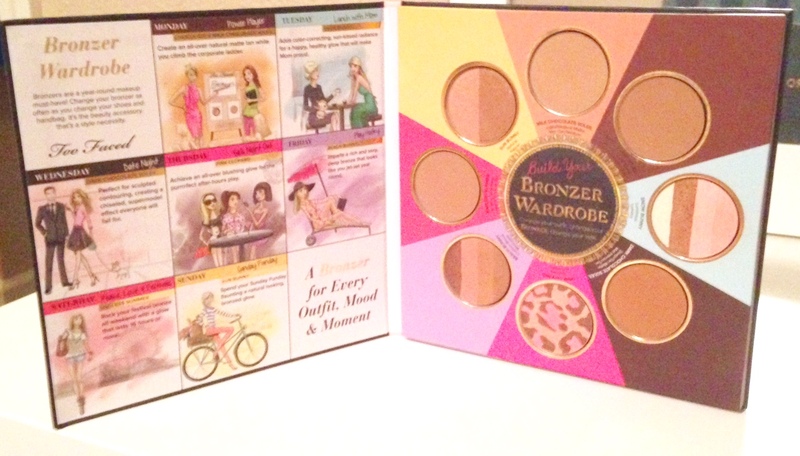 It's one of my favorite brands, and that bronzer wardrobe looks incredible. I am totally going to need to pick that up for myself!! More makeup posts would be great! 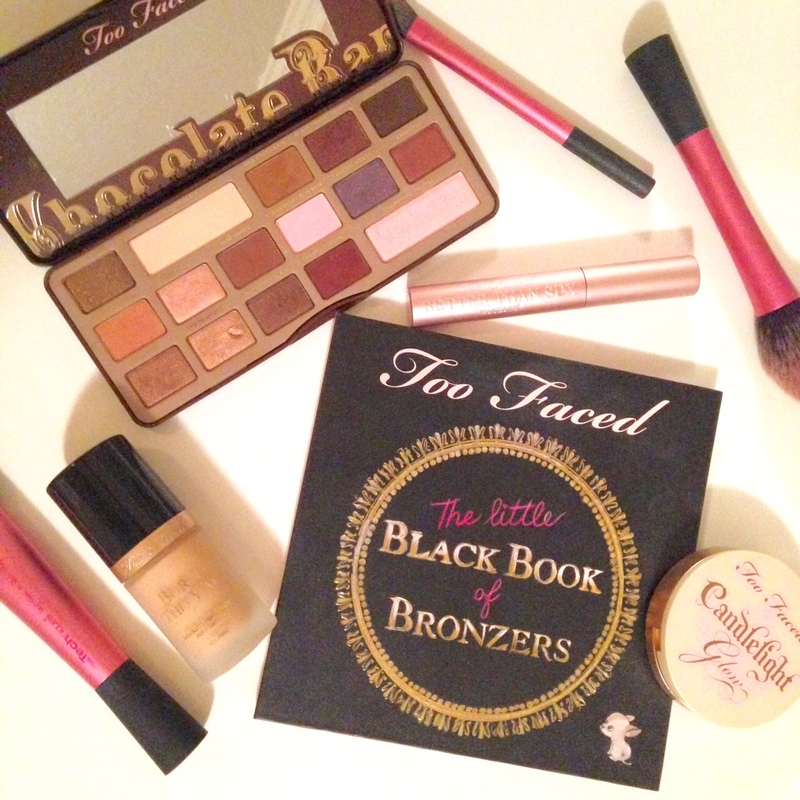 I love TooFaced. Their bronzes and mascara are my favorite. I've just started exploring more high end make-up, so I would love to hear more posts like this. Thanks for sharing all your favorites.